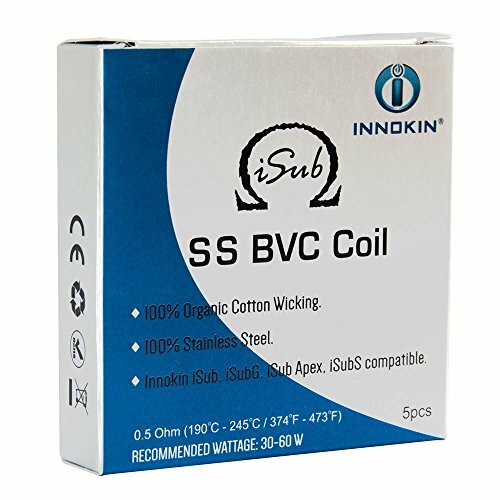 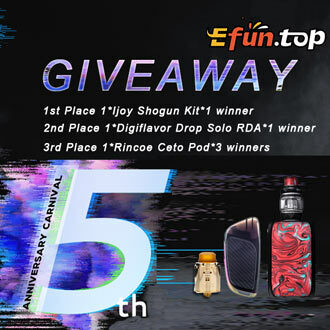 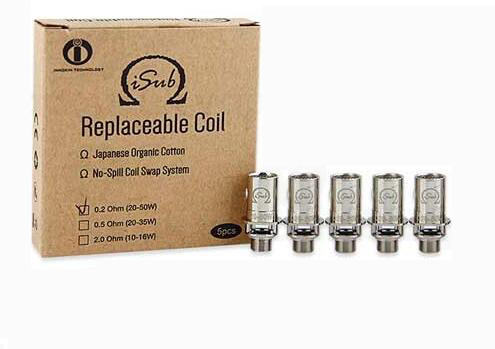 0.5 ohm Innokin iSub Coils are designed to be used with the iSub vape tank series. 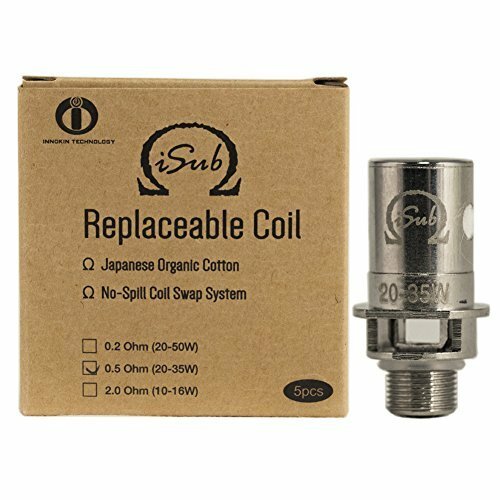 Featuring the innovative ‘no spill coil swap system’ the iSub coil has a built in 510 pin; by simply unscrewing the base of your tank you can pull the coil straight out and replace it. 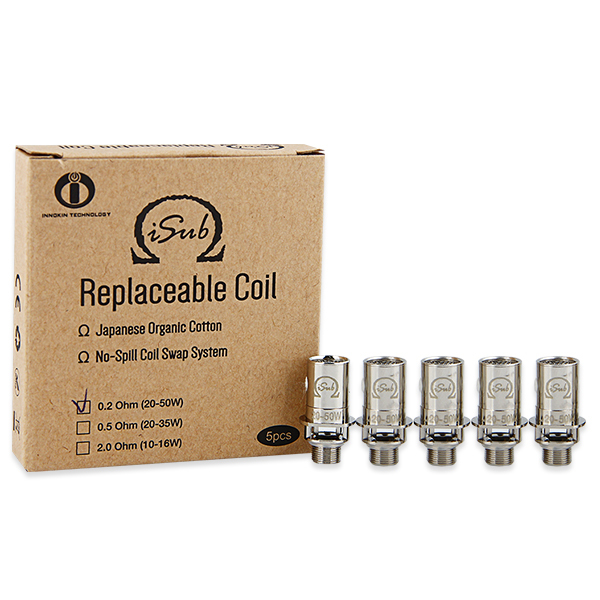 This is ideal for new vapers. 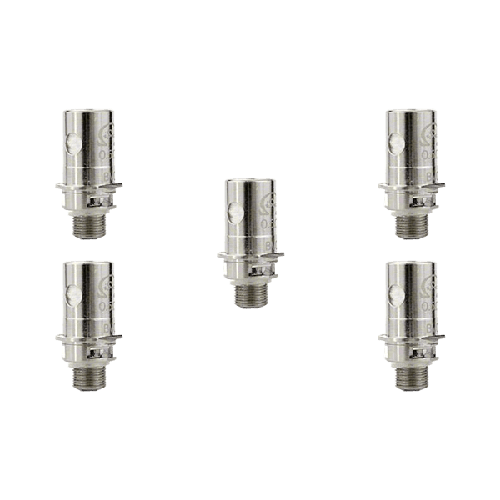 Compatible with the iSub, iSub G tank and Oceanus vape kit this is a coil suitable for direct to lung high wattage vaping and mouth to lung vaping, featuring a range of resistances – 0.2 Ohm, 0.5 Ohm and 2.0 Ohm. 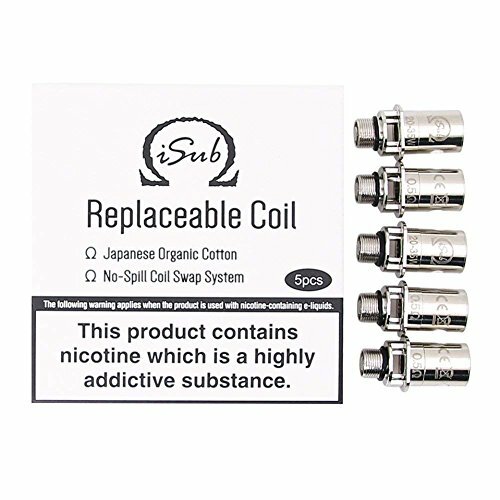 All coils are wicked with 100% Japanese organic cotton for improved flavour and reduced break in time.